Aussies have enjoyed having a bet since all the way back in the 19th century. At first gambling was done casually at thoroughbred meetings, but in 1882 licensing was introduced for on course bookies in Victoria. Another important development was the introduction of an on course totalisator known as the TAB in Melbourne in 1931. Off course betting remained illegal until an off course TAB was introduced in 1961. Since the emergence of the internet in the late 90s the betting industry has changed dramatically in Australia and it is one of the fastest growing betting markets on the planet. Turnover Requirements Sign-up deposit and bonus bet winnings must be turned over once (x1) at odds of 1.50+. UBET Takes You One Step Closer to the Action! Turnover Requirements 2x wagering requirement at odds of 1.50+ within 90 days. Turnover Requirements No Turnover Requirements. The Go-to Lottery Betting Site! New member offer Info N/A. The rapidly growing Australian betting industry has attracted some of the biggest bookies in the world. The likes of Ladbrokes, Paddy Power Betfair and William Hill are just a few of a number of massive betting companies that have invested in the Australian market. They have expanded their operations too since arriving, although legislation and regulations sometimes limit what they can offer. In comparison to the European betting industry the Australian version is rather under-developed and these global leaders are keen to capitalise on this great opportunity to expand. Their vast experience in promoting and developing the gambling industries in the UK and Europe really shows. With those giants leading the charge, it won’t be long until Australia catches up. The latest figures on Australian’s gambling habits illustrate just how quickly some sectors of the betting industry are growing. The latest report on betting in Australia for 2015/16 shows that overall, expenditure on gambling rose from $22.734 billion to $23.648 billion (3.9%). That translates to a total of $1272.81 spent per adult on gambling during the year. Betting on horse racing also increased from $2.815 billion to $2.943 billion, a rise of 4%. However, where the most growth has come has been in sports betting. This rose from $815 million to $921 million, a massive jump of 13%. This shows that online companies are heavily promoting their sports betting products, and this can only be good news for punters. Due to laws and legislation there are a number of differences between the products offered by bookies in the UK and Australia. For example, in the UK it doesn’t matter where you are from, you will always qualify for whatever bonuses are available, including sign up offers. In Australia different territories have different gambling regulations and in a number of states punters are excluded from bonus bet offers. Another huge difference between Aussie and British bookies is the availability of in-play betting online. In the UK, online in-play betting has become hugely popular and it is one of the most profitable products for online bookmakers. In Australia it is illegal for Aussie licensed online operators to take online bets due to the Interactive Gambling Act in 2001. However, they can still display prices, but you need to pick up the phone if you want to place an in-running bet. Here at Aussiebet we make it our business to learn everything there is to know about Aussie based bookies. Different punters will look for different features when choosing a bookmaker, and we have all the most important elements covered. We go through every site we review with a fine-tooth comb and we don’t just pick out the positives, we look at the negatives too. Below are listed some of the main areas we examine. Bookmaker history and ownership/licensing information. Information on sign up bonuses and turnover requirements. All the latest promotions and schemes for existing customers (loyalty bonuses, rewards schemes). Whether features like Cash Out and Live Streaming are available. We look closely at the mobile/web apps on offer from each bookie. Quality of odds and depth of markets available for horse racing and sports. Banking facilities and customer service. Security, trustworthiness and we also look at the approach to promoting responsible gambling. (about the topics we look into. The primary way in which bookies try to attract new customers is by offering a generous sign up bonus. Here at Aussiebet we consider a number of factors when reviewing a sign up bonus. The most important elements we look at include the size of the bonus, the territories excluded from claiming the bonus and the turnover and minimum first deposit requirements. Sign up bonuses vary wildly between different betting companies, so it pays to shop around and find the best deal for you. First deposit requirements can be very different, as can turnover requirements as well as the size of the bonus on offer. You can find out everything you need to know about sign up bonus offers here at Aussiebet. Betting companies use sign up bonuses to attract new customers, and they use promotions to retain those new members. Some bookmakers offer a whole lot more than others when it comes to promotions for existing customers, and here at Aussiebet we rate all the latest promotions and schemes on offer. We use a number of characteristics to rate promotions for existing customers, including the size and regularity of promotions, turnover requirements and the regions excluded from claiming said bonuses. So, as you can see, when it comes to keeping up with all the latest promotions and offers Aussiebet is at the front of the pack. In Europe, in-play betting has become a central part of the online gambling experience. However, due to the Interactive Gambling Act, Australian bookmakers do not allow punters to place in-play bets online, either on desktop or mobile. They can still advertise prices though, and customers can place in-play bets over the phone. We look at a number of things when examining the in-play betting service on offer from betting companies. These include minimum stakes, frequency that odds are refreshed and the range of markets available. In-play betting is increasing in popularity in Australia, and whatever it is you want to know about betting in-running you will find it here at Aussiebet. For the vast majority of serious punters, the generosity of odds on offer is of huge importance. The prices on offer can vary massively from bookie to bookie, and we try to highlight the differences. The way we do this is by picking a random match or race and work out the over round applied by each bookmaker. The lower the over round the better it is for punters, and we strive to inform you which bookies are best for value. However, the advantages gained by finding the best price can sometimes be undermined by low pay-out limits. Most Australian bookies have strict pay-out limits for sports, racing and novelty bets (singles and multis). We take a thorough look through the terms and conditions of every bookie we review to discover exactly what pay-out limits may apply. This is yet another reason why Aussiebet’s reviews are well worth checking out. Any betting company that wants to be taken seriously in the current climate must develop a reliable mobile/web app. It is imperative that betting agencies create an app that works smoothly, as being able to bet on the move is hugely important for Aussie punters. Some apps are far better than others, and we look at a number of factors when compiling our reviews of web and mobile apps. We look at all the technical information, such as the Android or IOS version that is needed to run the App. We also look at whether the apps work on other devices like Blackberrys or Windows Phones. We check out the odds and markets on offer, any available promotions, as well as whether sports and racing can be streamed live on your mobile device. We know just how important mobile betting is these days, and you will find all the info you need about mobile betting right here. A lot of bookies are now offering an early cash-out option which allows punters to bank a profit before their bet has concluded. Some Australian bookmakers have been slow to introduce this handy tool, and we will inform you of the quality of the cash-out facilities on offer for every bookie we review. Aussie betting companies have also introduced some other nice features. Some Aussie bookies also offer live streaming on certain sports and events. In our exhaustive bookmaker reviews we look at the different sports available from different betting companies. You can also find out exactly how to stream live sports by checking out our step by step guides. Multi-bet builders are widely available and these allow punters to create multi bets with the minimum of effort. We also look at other features like protest payouts, tipping competitions and tools that allow you to boost the odds of your bet. So, no matter what the offer might be, you will find out all the best ones in our in depth reviews. Horse racing is of massive importance in Australia and it has long been one of the most popular sports down under. Not many countries can claim to stage a race that stops a nation, but The Melbourne Cup does exactly. However, there is a lot more races than just that one, and we look at the betting options available on all domestic and international horse racing, including the depth and range of markets available and the generosity of horse racing odds. Just like with Sports betting we compare the over rounds applied by different bookies on horse racing. This enables us to clearly illustrate where the best value can be found. We look at all the different bets you can place. From simple win, single, each way and place betting to exotic multis, top fluc betting, combi bets and match betting, we have it covered. You can find everything you need to know about online horse racing betting in Australia in our extensive bookmaker reviews. Plenty of Australian betting agencies offer lucrative rewards schemes to existing customers. Here at Aussiebet we look at these schemes in great detail. We will inform you of whether you need to opt in to qualify for the rewards points, and we reveal exactly what you earn per dollar you spend. These rewards schemes cannot be accessed in certain regions, and you can find out exactly where they are available in our bookie reviews. Some bookmakers have a tiered rewards points system and we look at the requirements to qualify for the different levels. For big spending punters some bookies operate VIP Rewards schemes and we examine those in fine detail too. We also look at the options for spending the Rewards Points you earn. Some bookies just allow you to convert them into betting dollars, but with others you can spend them on discounts for flights, hotels and lots more. If you want to find out which bookies have the very best Rewards Points offers, you are in the right place. When you open a new account with a betting agency you will have to part with a lot of very sensitive personal information. It is vital that this information is stored safely and securely, and we look at the measures that betting companies put in place to achieve this. You need to know that you can trust your new bookmaker, and you will find all the information you need at Aussiebet. We look closely at the Privacy Policies of every betting agency we review. The most important elements we consider are the history and reputation of bookies and the mechanisms and procedures put in place to protect data (SSL, Staff Training etc.). If you are worried about whether your personal data is safe, you can find peace of mind by checking out our extensive bookmaker reviews. Last, but not least, our bookie reviews look at the quality of customer service on offer as well as at attitudes towards the promotion of responsible gambling. Having reliable and readily available help and support for customers is key, and we rate customer service by looking at a number of different elements. These include the various ways in which customers can get in touch (email, phone, live chat, post). We also look at the estimated response times, and the hours that customer support is available. You will find all the relevant contact details for every bookie we review too. 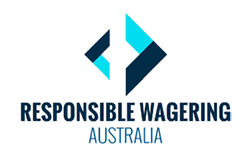 Here at Aussiebet, we are big on the promotion of responsible gambling, and we consider this when reviewing bookmakers. We examine what measures and facilities are put in place to aid problem gamblers. These include deposit/betting/loss limits, self-exclusion tools and links to relevant gambling support services. Gambling is a pastime that should be enjoyable and when the fun stops, so should you. How do I know when a bookmaker is trustworthy? When joining a new bookmaker, look at the responsible gaming policies and look at their licences and banking pages. The best bookmakers will have all of these and will look after your personal and important information. Can I bet in-play from Australia? No. Not at current time from either online or mobile devices. Bookmakers can still advertise odds and you can bet over the phone if your bookmaker allows you. Who are the best, Australian licensed bookmakers? The best bookmakers who have the Australian license are bet365, William Hill, Ladbrokes, Palmerbet and Unibet. We base that on our objective reviews and believe you'll be happy with any of them.